There are a number of great resources that provide audio books (digital books) that can be a great resource for downloading and playing. Use a students iPod, MP3 player, or the classroom computer. Four audiobooks for free, including the Red Badge of Courage. Search for audiobooks - many are free. 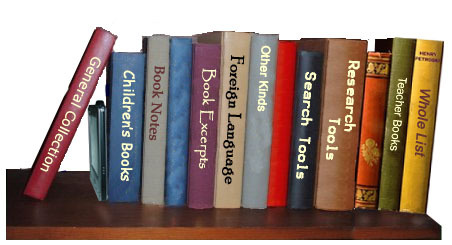 Digital book forms, to be read with a variety of reading devices and software programs. U.S. residents; must have a qualifying disability: visual impairments and blindness, reading disabilities, or physical impairments that make it difficult or impossible to read printed books. History and philosophy audio books (mp3 format). Categories range from Plato to Karl Marx, and famous American figures. Classic books in audio format (mp3 and m4b), some books are human narrated, others are quality text-to-speech voices. Mostly short stories in audio format. Over 500 free audio and video titles. This directory features free audio books, lectures, speeches, sermons, interviews, and many other Browse over 15,000 educational audio books, MP3 downloads, podcasts, and videos. Most audio titles can be downloaded in digital formats such as MP3 and most video titles are available to stream online. Over fifteen titles including Tale of Two Cities. From the Florida Educational Technology Clearinghouse. Delivers public domain literature with high quality audio. Read and listen via web browser or download mp3. A digital poetry archive project, committed to producing new audio recordings and preserving existing audio archives of modern poems and classic works including Homer and Chaucer (MP3). A MP3 audio archive of Romantic-period poems selected and read by practicing poets from around the world. Free audiobook each month (with free subscription).